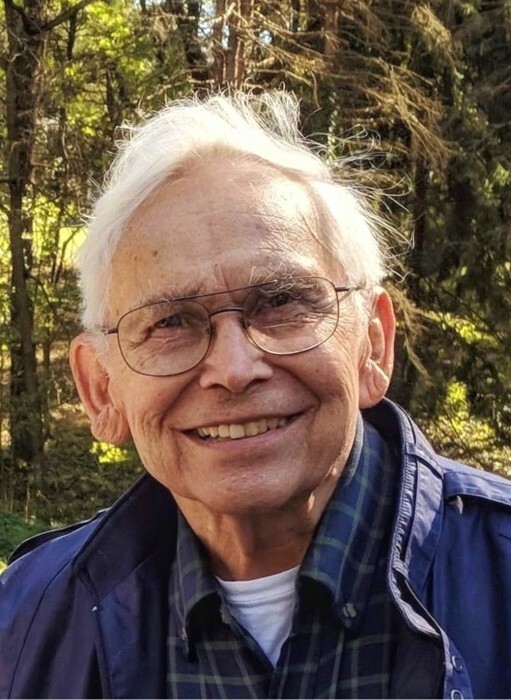 Obituary for John W. (Jack) Albright | W. Orville Kimmel Funeral Home, Inc.
John W. (Jack) Albright, 90, of Lower Paxton Township passed away on April 14, 2019 at his home. Born June 8, 1928, he was the son of the late Miles W. and Elizabeth M. Albright. Following his 1948 graduation from John Harris High School, he attended Franklin & Marshall College where he received his Bachelor of Science degree in Chemistry. Jack was a senior engineer at Bethlehem Steel, retiring after 30+ years of employment. He was a member of Paxton Presbyterian Church, Phi Sigma Kappa fraternity and the Engineers Society of Pennsylvania. In retirement he enjoyed traveling, time at the cottage on Lower Beverly Lake, fishing and crabbing in Delaware, puttering in his workshop, and spending time with his grandsons. Jack loved spending time on the water, whether lake or ocean; he was an avid boatman and angler. He instilled the same love of fishing and boating in his children and grandsons. He is predeceased by his beloved wife of 55 years, Jane Phillips Albright. Surviving are his children: John W. Albright Jr. (Sharan) of Mechanicsburg, Amy A. Gordon of Bethlehem, and David T. Albright (Dee) of Paxtang; and four grandsons: Colin Albright, Christopher Albright, Robert Gordon (Ashley) and Scott Gordon. Services will be private and burial will be at Rolling Green Memorial Park at the convenience of the family. Memorial contributions can be made to Homeland Hospice, 2300 Vartan Way, Suite 270, Harrisburg, 17110.